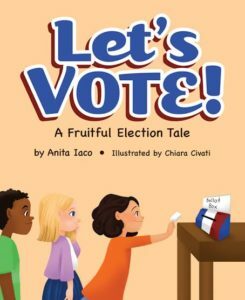 By Anita Iaco, author of Let’s Vote! 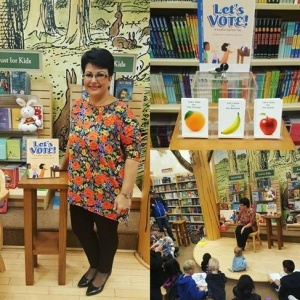 A Fruitful Election Tale Who will you be voting for on Election Day? 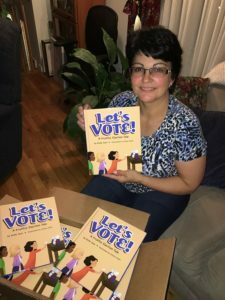 The children in my picture book, Let’s Vote! A Fruitful Election Tale have a much easier decision to make than we do: the apple, orange or banana. But then again, they are voting for class fruit, not the next leader of the free world. I wrote my story last February, at the start of the presidential campaign season. I recalled how we would hold mock elections each November at the preschool I own, Jenn’s Junction. The young students would go behind an American flag we hung in the hall and they would vote for their favorite fruit. In my story, I added a few spokespeople who use some not-so-nice tactics to try to sway the vote in their fruit’s favor. In the end, only one fruit wins, but all the children learn how important it is to make promises you can keep, to tell the truth and to not bully your friends. This was not the first story I have written. The preschool has provided me with many heart- warming and zany story ideas, and I have been pitching them to traditional publishing companies and agents (when I am not preparing lunches, changing diapers, or getting more story ideas). But this story was so timely and educational that my husband Steve insisted I self-publish it. We both hoped it would spark a conversation in schools and homes about the upcoming election. So I needed to publish it fast. Technology and a growing demand have made it very easy for aspiring authors like me to publish our “masterpiece.” So I was overwhelmed when it came time to choose a self-publishing company. While a team usually has a mascot, Mascot Books had a highly skilled team and their proposed publication schedule made the process seem quick and polished: my top two requirements. I also wanted an established company that was in business for a long-time. Check. I wanted this to be a long-term relationship. The fact that my picture book needed an illustrator helped me narrow the field too. When I looked through Mascot’s “stable” of illustrators, I quickly choose the one I wanted to bring my characters to life, including the teacher, Miss Jenn, who I wanted to resemble my daughter. Chiara Civati did not disappoint me. Crossing and Dotting I don’t know what the future holds, but for the time being, children and their parent still like to hold picture books in their hands and turn the pages. So, unlike other types of books, picture books need to be printed. Mascot recommended that my book was created as a hard cover, glossy, well-constructed picture book that can be seen on the shelves of bookstores and libraries. Why? Because that is what bookstores and libraries want. And it looks so professional. I wanted my book to read well too, so I gave a draft to almost every elementary school teacher who had a child enrolled in my preschool. I joined a critique group and received their valuable feedback. I wanted my book to measure up because that would make it easier to market in the very overpopulated world of children’s picture books. A traditionally published book doesn’t sell itself, unless a celebrity writes it of course. It takes advertising and marketing. If the traditional publisher promises to do that for you, you know you are going to see less of a profit. A self-published book is going to face an even tougher time, unless you commit to being your own promoter, at least initially. Know your Audience Ask yourself who do you want to read your book? In my case, I want elementary school teachers to read my book to their students. How do teachers and school librarians choose books? School distribution companies, such as BookSource and Lexorum. I mailed them copies of my book and followed up with phone calls. As a result, they both agreed to put my book in their catalog. That is how I sold 500 copies in just two months. Get Reviewed Positive critiques can also influence sales. While not all high profile critique groups or publications, such as The Book Horn, will not review self-published titles, companies like Kirkus, Publisher’s Weekly and The Serious Reader will—for a fee, of course. But well worth it if you get a glowing review. Important note: Don’t wait for your book to be published before you seek reviews. Many want to see your book in galley form or several weeks before the publication date. I did not know that. 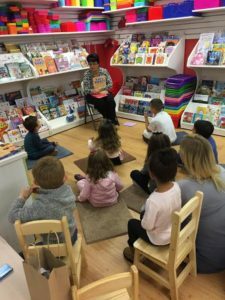 Go to Them; Don’t Wait for Them to Come to You Since my book is a picture book intended for schools, it has also been easy for me to approach elementary school principals and offer to visit to read my story. But I don’t just read the story. I discuss the election process and even give the students a chance to vote for the fruit they like most from among my three tasty candidates. Flyers sent home before my visit give families a chance to buy a signed copy of my book for their child’s personal library. 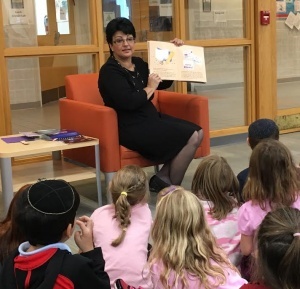 While the election has made my book particularly timely, I hope to continue to visit schools to get the children to vote on a bunch of different topics, such as favorite Christmas/Hanukah gift: clothes or toys? I can also highlight the important character traits discussed in the story. Take Pride in Your Independence Self-published authors have been gaining increasing respect in recent years. Local newspapers want to hear how you did it! Local independent books stores may agree to showcase your book. Some even have events that spotlight local self-published authors. 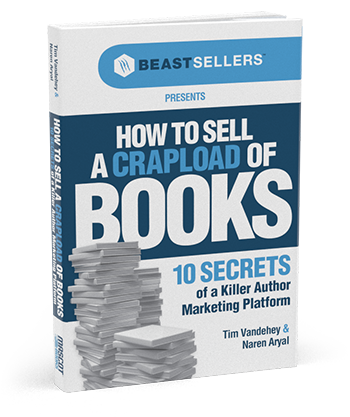 While it may be a bit difficult to make it onto Barnes and Noble’s shelves, there are books, websites and even groups, including the Association of Publishers for Special Sales, that can help you find alternative ways to market and sell you finished product. How successful will you be as an author? The decision is really yours. Spoiler alert: The banana wins. Thank you Anita Iaco. I will also be having a book published with Mascot in the next month or two.